You might be wondering if you’re reading right – but you are. We have found at least 4 real tangible reasons why the upcoming Super Bowl is really and truly GOOD FOR BUSINESS. Whether or not if you live anywhere near Baltimore, Maryland (where MyCity4Her Media is based) you can only imagine how distracted everyone (the business community included) is by the upcoming Super Bowl game on Sunday. In fact most women in business in the region and beyond seem absolutely captivated by the prospect our home town Raven’s may clinch their second Super Bowl title this weekend in New Orleans. We admit fans in the San Francisco area may be excited for different reasons however we couldn’t be more proud of our incredible Baltimore team. If you didn’t catch the Today show this morning you missed our Mayor (the honorable Stephanie Rawlings-Blake) getting in on the action with some friendly competition and betting on the outcome with her San Franscico contemporary on the West Coast. You can view he video by clicking here. Monitoring the social media arena we found dozens of prominent business women, and entrepreneurs proclaiming their excitement and enthusiasm over and over in multiple forms. Seems everyone has purple fever – and so how could anyone NOT be distracted? Back in September 2012 the Baltimore Sun published an article that cited “Women account for 45 percent of the National Football League’s fan base, according to league officials” . We decided that rather than FIGHT this crazy compulsion to get swept up in the mayhem we’d seek out some very reasonable and rational reasons why being distracted by the Super Bowl is good for your business. If you’re one of those folks who struggles to make polite conversation at networking events or social outings, just pay attention to all the upcoming Super Bowl’s incredible hoopla and you’ll have en edge on those who don’t. No more will you have to struggle for what to say…you’ll have stuff to talk about for days to dozens of folks; voila instant social ease courtesy of the NFL and this weekend’s excitement! BTW – if you’re looking for more networking tips – click here for specifics on that in a great article from Entrepreneur magazine. Surely you’ve not missed all the buzz about the Super Bowl commercials? Every year multi million companies spend gazillions of dollars to capture your attention and win kudos from the public for their clever or not so clever ways to get endear their product to you. Wondering who this year’s top contenders and possible busts may be check out superbowl-commercials.org to find out which might be winners or not. Learn from their multi-million dollar hits and mistakes and have fun watching while you’re at it. This kind of happening is great for inexpensive, and effective marketing and promotion. A few of our favorite example include Urban Chic (a boutique chain in the Baltimore and DC area that is offering fans a Super Bowl of savings this Saturday and Sunday if you mention your favorite player at checkout and you’ll be delivered a special corresponding discount! Find out more by clicking here. Lastly, even if you don’t love football – or loathe it – you can’t deny something that motivates this many people, gets national and international media attention shouldn’t be taken notice of. Whether you you like the game or not, you can’t deny that the NFL and the Super Bowl are both incredibly big business. If you’re wondering why women in business should care about a major sports event – even if they don’t like the sport – we’d venture to open your mind to the reality that probably your community does, and probably in your community reside many of your clients. Wehther you’re rooting or not- we hope you enjoy the game! 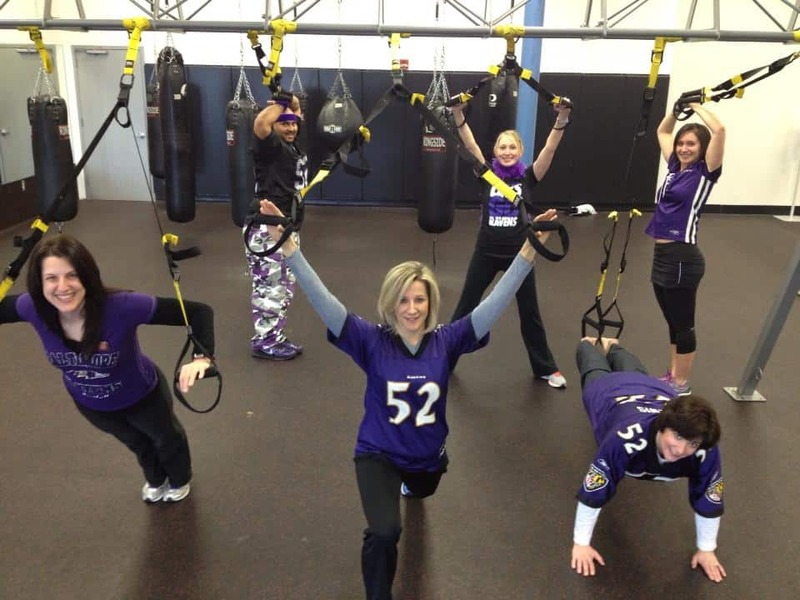 We – unabashedly will be cheering on the Baltimore Ravens. GO RAVENS GO! If you have any other great suggestions for Super Bowl related promotions or marketing initiatives – around town or beyond – please feel free to share them in the comments section!